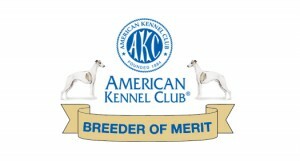 Angel X Spanky Whippet litter Whelped February 23, 2019! We are located in the East Texas Pineywoods, and are very convenient to Dallas, Houston, and Shreveport. 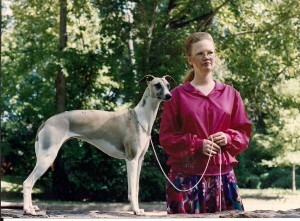 I have owned, shown, bred, and enjoyed living with Whippets since 1970. My first whippet named Susy, literally attended some of my classes at the University of Arizona. It's not that hard to hide a whippet when you are in a chemistry class of over 1000, and you sit close to the back of the auditorium. I believe whippets to be one of the "Best Kept Secrets" of dog breeds. Asthetically they are unique, sleek, elegant, and built for speed. They blend into most family situations well, as they are always keen to join in on any activity, and equally excited about taking a nap with you. They tend to be laid back, and easy to live with, yet quite alert, and some are even pretty top notch watch dogs. The most endearing trait of a whippet is their desire to bond and become your closest friend, and soul partner. As a breeder I place temperament and liveability above all else when I breed a litter of pups. After that comes health and then beauty and soundness. I am always looking for the next lovely one to take to the show ring, but of course, in a typical litter, there will some pups that do not have the desire, or exactly what they may be looking for in the show ring, so those whippets can make wonderful companions and sometimes performance dogs or therapy dogs. Feel free to browse the site to see more about our foundation, current whippet residents and our available whippets. We welcome visitors and are always happy to assist with any whippet or dog related questions. Thanks for visiting Whisperun. Whisperun is also the home of homebred Champion Italian Greyhounds and also Standard Poodles. These breeds both blend in well to a household of whippets. Just like one's own children, each one is special in their own ways. Please visit whisperunitaliangreyhounds.com or whisperunpoodles.com to learn more about our involvement in those breeds. 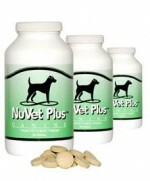 We HIGHLY recommend NuVet for the health and longevity of your dog. Not available in Stores...Voted the NUMBER ONE Supplement by Dog Fancey. Click Here To Order NuVet Plus, Or Call 800-474-7044 You must use the following code: #57984 in order to get a discount. We picked up our boy Tethers early this year, and we have been absolutely thrilled with what an amazing and sweet boy he's grown into. His temperament is fantastic -- very biddable and playful, and quiet too. We get nothing but compliments on how gorgeous he is, and how loving. We are so thrilled with the newest member of our family, our handsome little whippet pup named Bolt! Yes, after the Disney movie the kids love so much and I have to say it is a fitting name for our little speed demon. Several months after losing our sweet little Iggy Sparky, we knew it was time to find a new member for our family. Jolene was wonderful every step of the way and patiently answered all of our questions as we carefully searched for our new pet. We finally knew that a Whisperun Whippet would be the perfect addition and instantly fell in love with the gorgeous little puppy who greeted us at the door. Bolt has the sweetest personality and plenty of that puppy energy that keeps us all entertained. We often have the neighborhood kids hanging out at our house and Bolt always welcomes them with tail wagging and doggy kisses. I highly recommend Whisperun Whippets! Early this year we picked up our first ever Whippet from Whisperun and he is truly an awesome companion. Smart, almost too smart, and always eager to please. He has taken a liking to the couch and spends most of his day sleeping there, then its off to the park to show off his speed to others. Great dog, great companion, and a great place to get a Whippet. In 2011, I purchased my first Whippet from Whisperun. His name was Yukon Gold, but we call him Denali, or Dino. Let me tell you - he is such a wonderful dog! I am so happy that he is part of the family. I hope that in the future, I can have another Whippet from the Whisperun foundation; they are truly delightful Whippets. HSUS Deception This is a site that exposes the deception of HSUS and offers realms of information on how to have a NO KILL shelter. Humane Watch Learn about the HSUS (humane society of america) Deception. They are not who you think they are. PETA KILLS ANIMALS Peta kills over 95% of the animals they take in. Don’t believe me. Check this website out and google for yourself. WE THE PEOPLE FOR PETS USA Educate yourself..HSUS, PETA and others are AGAINST all animal ownership. We Americans that own animals, or raise animals, birds, cats, rabbits, horses, cattle and many others should UNITE to fight the loss of our freedom to own these creatures that God gave us authority over. The Animal Rights activists shroud their real intent as a venue to end puppy mills, keep animals from cruelty, while in essence they are out to destroy small and hobby breeders. If the laws they spend millions to lobby for, are acutally passed, the small breeders will be squeezed out by regulations that are impossible to comply with in a home situation. The only ones left that will be able to comply will be the large commercial operations......ie: puppymills. Sorry for the inconvenience, but due to Animal Rights driven USDA ruling, we can no longer sell a puppy or dog unless the purchaser sees that animal in person. Shipping an animal sight, unseen will categorize our hobby/show kennel as a full blown commercial breeding facility. This is not something that we are, nor is it something we want to become. Our puppies are raised in our home, and are always in my bedroom until they are about 3.5 weeks of age. After that, they go to the puppy/grooming room which is across the hall from my bedroom. A USDA licensed, commercial facility must be open for inspection 24 hours a day, and prior notice or the courtesy of an appointment is not needed. If you should happen to be at a dog show, or just away from home shopping when "THEY" decide to inspect, then you will be fined a large sum of money and found to be incompliant. I am not comfortable with a government employee entering my home, and/or bedroom at any given time. As a breeder of quality animals, I am certainly open for visitors to come and see the puppies and spend time visiting the whippets. I regret that this Ruling has come about and is being promoted to John Q public as something to curb, or put puppy mills out of business. The reality of this ruling, is that it intends to put ALL BREEDERS out of business, and put breeding into the hands of commercial facilities that may be immaculate and clean, but as a rule, they do not have the knowledge, nor do they care to acquire the necessary knowledge to breed sound, typey, and healthy animals. This reminds me of the gas wars that happened in the early 70s. The intent was to destroy the "little guys", and therefore the sale of gasoline would be controlled solely by large entities, thereby destroying the benefit of good ole American competition, and the price of gasoline is surely a reflection of just that. *****WE are often able to meet a purchaser with a puppy as we do attend dog shows in various locals. Additionally, we will meet a buyer at the airport with a puppy, or dog to facilitate the needs of the buyer.